Everyone asks if it was a surprise. 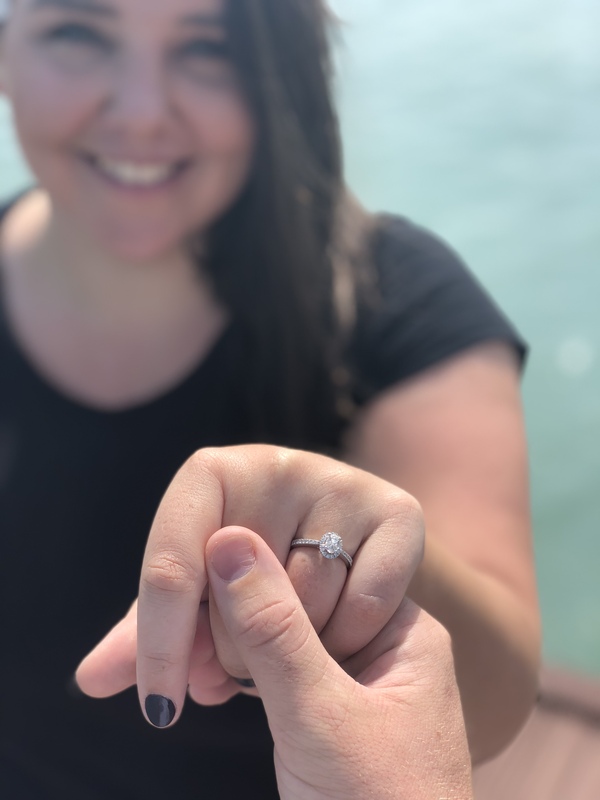 And despite being together for almost five years – and both of our families being in on the secret for months – my answer is yes. Not even one tiny; miniscule little inkling. I didn’t even clue on when I arrived back to our villa in Thailand to find Dylan dressed to the nines in his new suit. Instead I sat down on the couch and started telling him my reasoning for getting both my manicure and pedicure done in black. All the while he was lingering behind me mustering the courage to ask me to be his wife. Sweating bullets and trying to remember his prepared speech he got me to stand up and listen to what he had to say. Before getting down on bended knee and whipping the most incredible diamond ring out of his chest pocket and asking me to marry him. 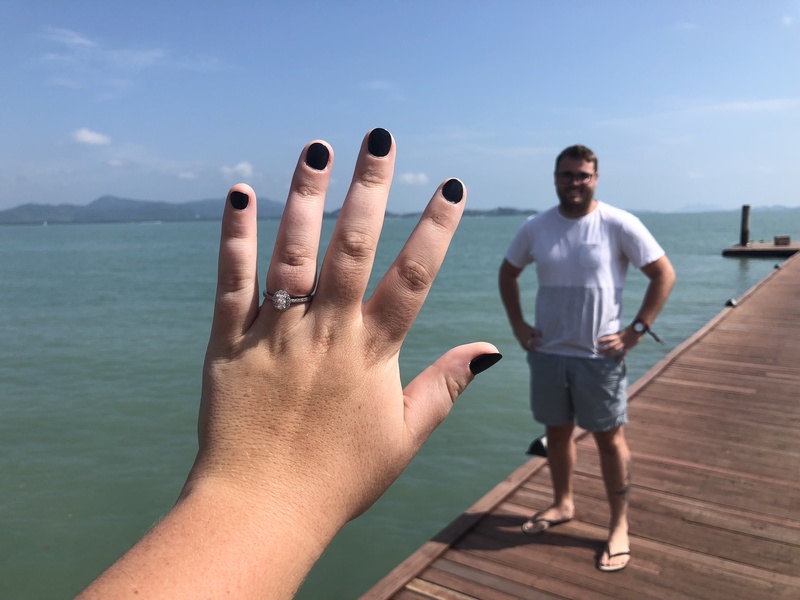 I knew he wasn’t kidding, but the sheer shock that he had been able to keep this from me, not just for the two weeks we had been travelling in Vietnam but the past eight months he had been finding the right moment after asking my parents. And then I said yes. Shaking as he slid the ring on my finger and holding back tears. I honestly didn’t think it was real. And when we remembered what day it was I was hoping it wasn’t just an elaborate April fool’s joke. But here we are a month later and in true Viv fashion I have already set a date and put into motion most of the wedding planning. But our biggest issue is the guest list. Both of our families are big and close. So once we add up all our relatives and throw in a few family friends we are already in triple figures. Which means we are counting our every penny from here on in – or the engagement holiday will forever outperform the honeymoon.